Back at the beginning of the British Summer, while I was still living in Sierra Leone, I applied to become a Global Champion for Women’s Economic Empowerment with UN Women’s Knowledge Gateway for Women’s Economic Empowerment. Little did I know that becoming a Champion would in many ways become life-changing and also a real anchor to hold on to when so many other things I thought were constant began to change. As a Champion it is our job as volunteers to boost awareness of http://www.empowerwomen.org and all the amazing things the site has to offer but also to come up with our own projects. Before signing up I was full of ideas about the kind of things I might do alongside the women accessing the services of The Dorothy Springer Trust in Sierra Leone. As it turned out my temporary departure from Sierra Leone to the UK became a lot more permanent when Ebola meant my return (to live there) became difficult and then impossible. I pondered what to do when a fellow Champion, the lovely Gesù Antonio Báez, posted a project he wanted to think about, plan and launch that would celebrate the successes of women, and men inspired by those women, through images and stories. He wanted some help. I, and three other amazing Champions from around the world, caught his vision and signed up. I am (wo)man was born! I will add at this stage that ignoring Gesù is an impossible challenge; he is the human version of a very enthusiastic Labrador and you cannot help but fall in love with his infectious joy for life and his hope to leave the world that bit better than we found it! The team of myself, Gesù, Sharon, Jaslin and Belinda was formed and we were supported in the vision for creating this project by the dedicated and hard-working team at www.empowerwomen.org – a team that truly cares about us as volunteers and also the work they do. 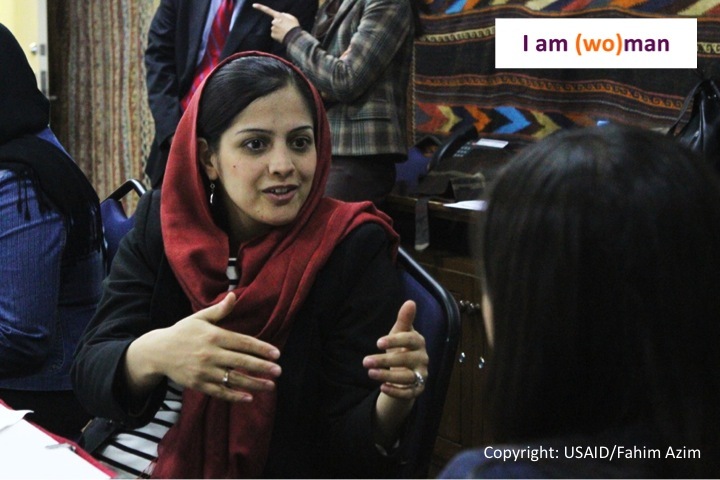 – Women’s economic empowerment is a fundamental human right. Realising women’s equal economic, social and cultural rights can transform and advance women’s access to material needs and opportunities, and reshape unequal power relationships between women and men. – When women are economically empowered, the benefits ripple outwards in form of gender equality and reduced poverty. Empowered women raise healthier and better-educated children and contribute to increased household income, a more productive workplace, and to economies that are more inclusive. So many wonderful partners have already signed up to the I am (wo)man Campaign including Lifebox, The Cherie Blair Foundation, USAID, All We Can and The Red Elephant Foundation and the first week of stories was totally inspirational. The photos and videos coming in are very moving – simple stories of change and transformation in communities and lives all over the world. Contribute your own photo story! Find out more here. Check out the existing powerful and moving stories from around the world. 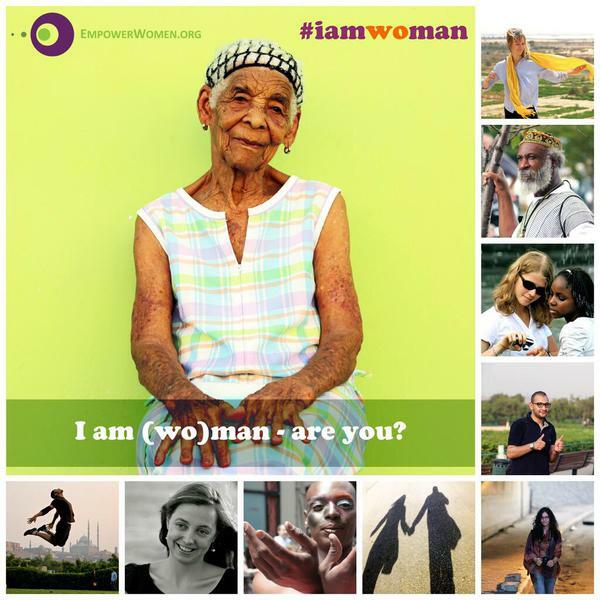 Follow the I am (wo)man Campaign on Instagram, Twitter or Facebook.